Ever wanted all the available Etisalat BIS plans (Blackberry 10 plans, BB Absolute and BB Complete) in one place/post? Here it is. I have taken the trouble for you to get them all in one place, sourcing them from Etisalat's website. * voice plan allows you enjoy call rates at 20k/s to all networks. Thanks for sharing, but can you use any of the etisalat BIS plan on PC? hi, thanks 4all u be been doing buy pls let me ask u., can etisalat bis work on Android phones? which of d etisalat plan gives 50mb/day? is it BB absolute or BBComplete. 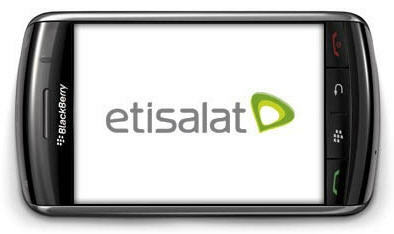 Etisalat BIS does not work on PC or Android phones. Now that's one question I don't have answer for (now). my subscription on bis hs been a thousand naira tho I don't kw wic plan. Bt I want to migrate on the plan dat wil enable me to view youtube.pls can u jst specify d plan and d code. Hi micheal ... my mb finished b4 validity , how do i resubcribe immediately? ? What is Voice Opt in / Non Voice Opt In. I want a BIS that will enable me have 10web base email and also I will be able to use my hotspot. Thanks Michael! Finally, a data bundle that works. I recommend to all bloggers. Kudos bro. This article sounds great and worthy of commenting on. I think I should ask for your permission to share this content. Thanks once again. i want to subscrib to bb so please should i subscrib it in the sim or to the bb. and what is the code to subscrib to bb if is to subscrib on bb and am using etisalat. Thanks! Yes, do and let me know the address so I can follow your writings.